Provide comfort for the family of Dorothy Fegan with a meaningful gesture of sympathy. Dorothy Ann “Dottie” Fegan, 91, of Wichita, KS, formerly of Interlachen, passed away on Saturday, March 16, 2019 at Meadowlark Home Plus in Wichita following an extended illness. She was born in Miami, FL and had lived in Interlachen from 1981 to 1999. Dottie then moved to Hermitage, TN and later resided in Wichita, Kansas. She had worked as a blue print reader for 18 while working with Regal Wood Products in Hialeah. While residing in Interlachen Dottie had been very active with the ARC of Putnam County. She was of the Catholic faith. She is preceded in death by her husband, Elmer “Al” Fegan, daughter, Annette P. Lonas and sisters, Yvonne Headley and Mary Louise Lott. She is survived by her son, John Phillip Lonas (Joanne) of Goddard, KS, granddaughter, Paulette Fry (Todd) of Wichita, KS, great-grandchild, Taylor Fry and several nieces and nephews. A mass of Christian burial will be held at 10:00 a.m. on Saturday, March 23, 2019 at St. Monica Catholic Church with Father Ron Camarda as celebrant. Burial will follow at Palatka Memorial Gardens. No public visitation is scheduled. Memories and condolences may be expressed to the family at Dottie’s Book of Memories page at www.johnsonoverturffunerals.com . 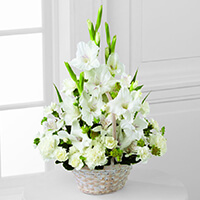 To send flowers in memory of Dorothy Ann Fegan, please visit our Heartfelt Sympathies Store. Yvonne Ford and Lani Ford and Albert & Susan Elgar have sent flowers to the family of Dorothy Ann Fegan. We have memories swimming across the lake to your house from Granny's. My mom Leslie Headley sends her love too. May you rest in peace. With love Jennifer and Kim. 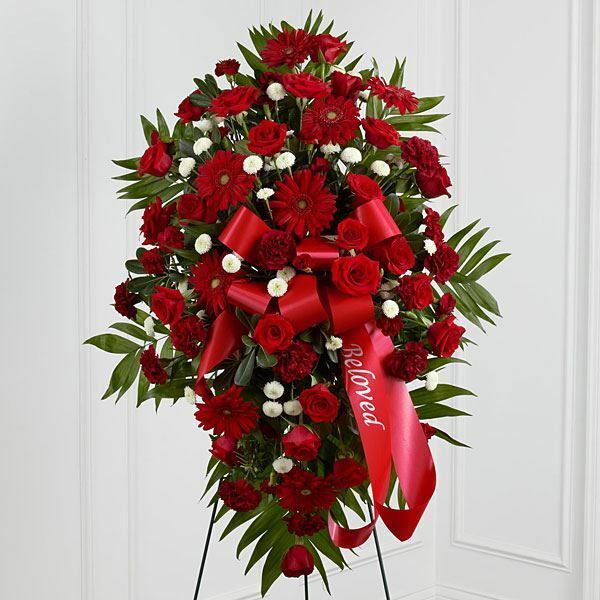 Yvonne Ford and Lani Ford purchased the The FTD Eternal Affection Arrangement for the family of Dorothy Fegan. In loving memory of Dottie. I remember the GREAT bar B Q beans she made when we went to her house for family Bar B Qs. May she rest in peace. Albert & Susan Elgar purchased flowers for the family of Dorothy Fegan.